I am doing lots of travel this winter (all to COLD places) and that means I need lots of cozy accessories to keep me warm! 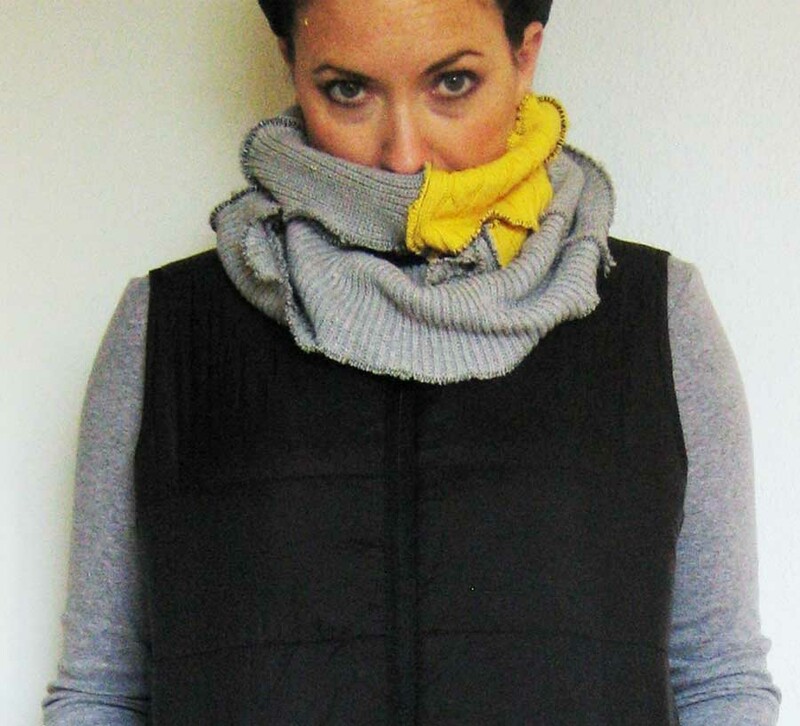 A cozy cowl scarf is not only fashionable but will keep your neck warm! 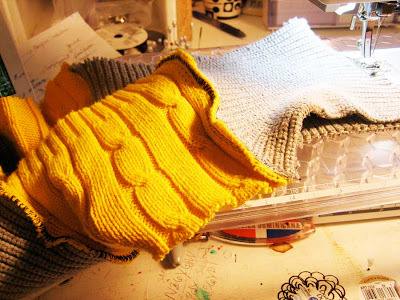 This project is super easy, cheap and makes use of old sweaters that might otherwise get donated. 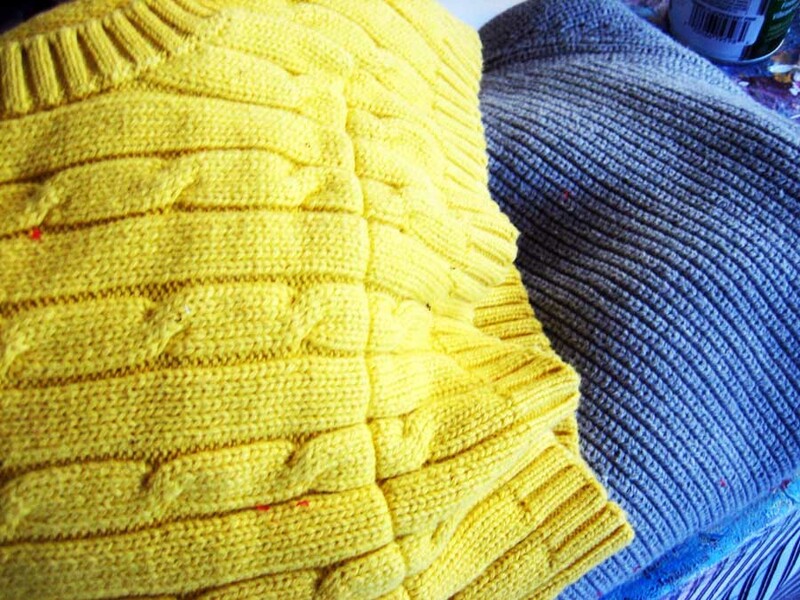 Start with a couple of sweaters in your favorite colors. 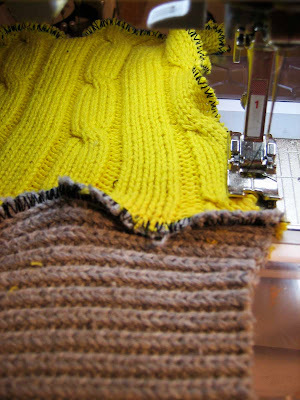 Start stitching your pieces together- I chose to have my stitching black and for it to show cause I love messy stitches! Continue stitching together until you are satisfied with the length. 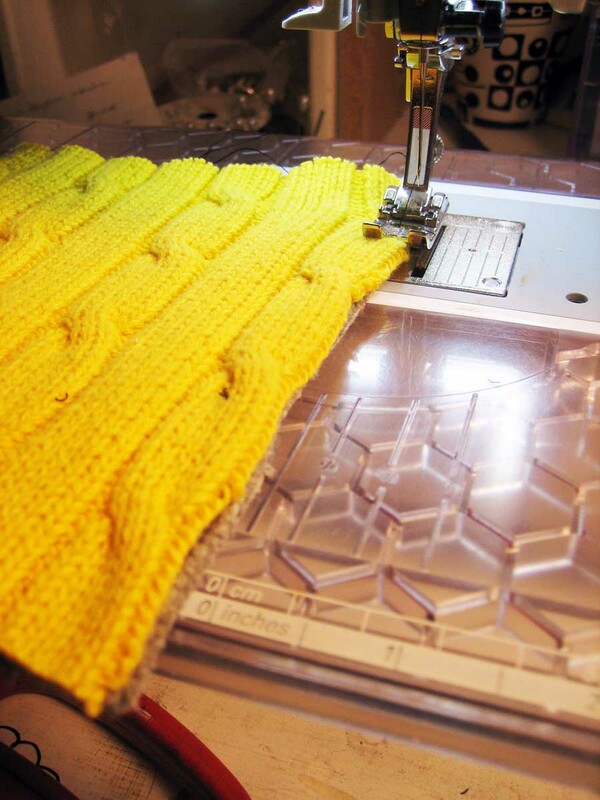 Sew the edges of the entire scarf with a zig zag stitch. 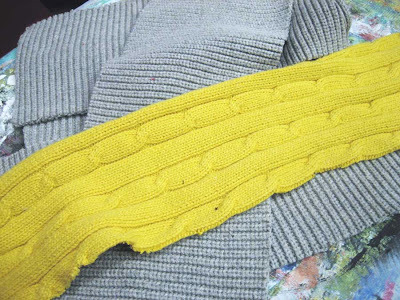 At this point it should look like a scarf with two ends. 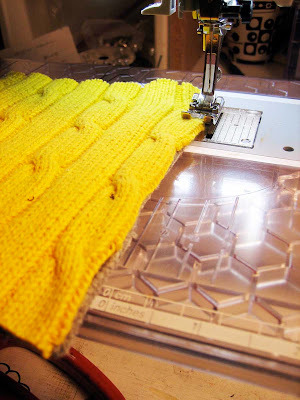 The last step is to sew the two ends together. Wrap the cowl around your neck and stay warm! oh...i really love this one! This is great. I love a) that it's a cowl not a scarf and b) the all grey with just a hit of yellow is so very cool. I may just try this one. Is 53 too old for this sort of youthful look? Be honest. I can always give it to a younger person for Christmas. Alisa, thanks so much for the inspiration - this is really cute and I too love the colors you chose. so fun~ thanks for sharing your inspiration! Hi there, I've found your space through Beth's skirt. LUV it. Man you're creative. And the IDEA were does it all come from. Thank for sharing my mom is a real good seamstress so I'm off to find some old sweaters...hope you don't mind. Now I'm gonna scroll down your blog to find me a skirt like Beth's to purchase for myselfs. Also find you through Beth. 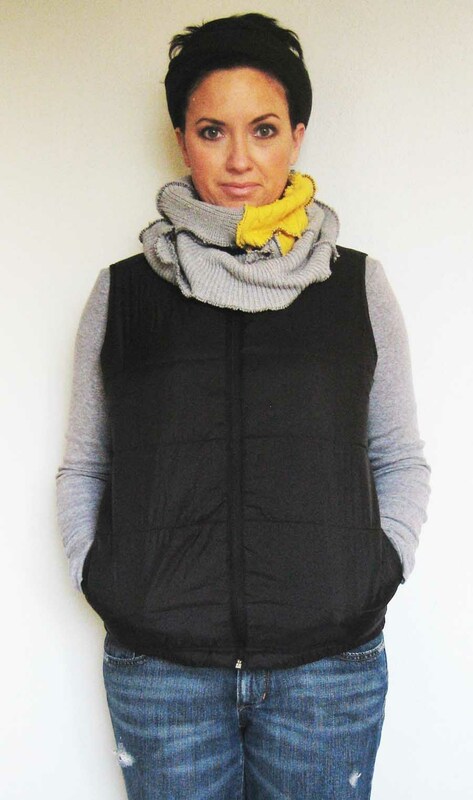 Love your creativity and will definitely try the scowl next winter! Now I want ideas what to wear to the beach!!! love this! i could really use one of these, it is still cold where i live. thanks!